Andhadhun, LoveYatri and Venom First Day (Friday) Box Office Collection Report. 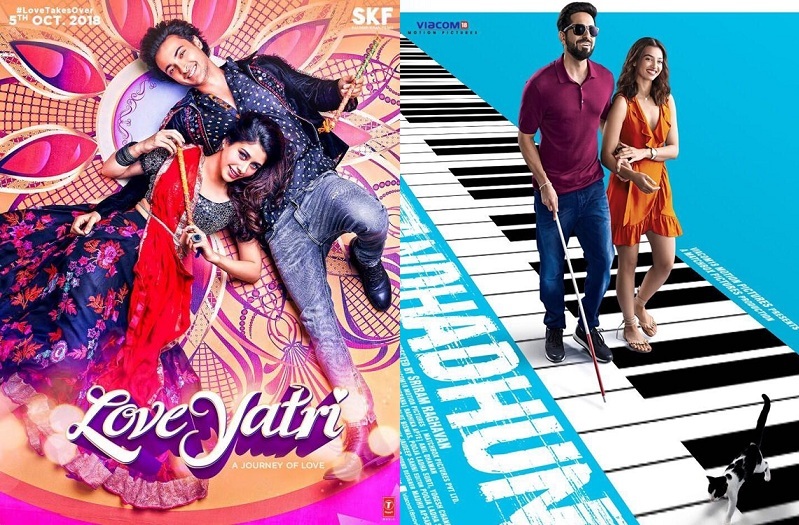 It is been a poor day for box office this Friday as both new Hindi releases, Andhadhun and Loveyatri performed poorly. It is again the Hollywood film 'Venom' who took the lead at box office. Shocking part is that both these 3 films combined business is less than 10 crore mark. Just imagine what will be the occupancy levels. Coming to Andhadhun first. Film started poorly in Morning shows. Film remained in lower level in Noon and Afternoon shows. However, there was some good sign as film picked up a bit in Evening and Night shows. Film collected an approx 2.5 crore nett on day one (1st Friday). Good news is initial report of the film is very good. Hope this good report transforms into good box office numbers on Saturday and Sunday. Loveyatri performed poorly on day one. This is expected as both lead stars are newcomers. However, initial trend and reports are mixed. Hence, it will be interesting to see if film can recover grounds on Saturday and Sunday. Film collected an approx 2 crore nett which is actually not a bad start considering film face value is only the songs which have emerged as Super hits. Hollywood film Venom collected decent 4 crore nett on Friday. Box Office numbers are decent and needs good push through the weekend to have a respectable first weekend numbers.